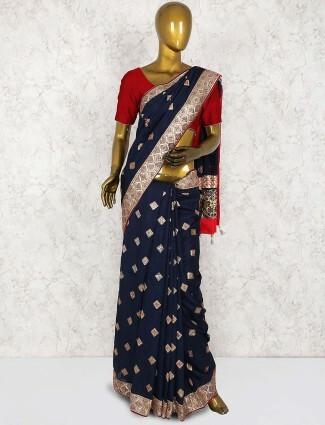 A designer saree is a most wanted style in sarees for every lady whether she is a study person, a working women or someone who stays at home. 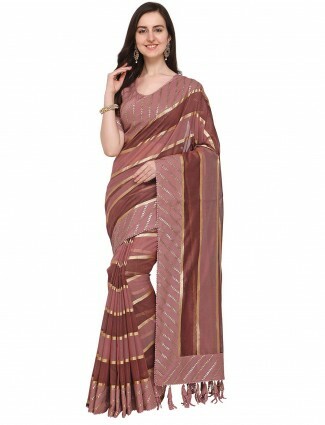 The term Designer saree brings all the glam look to their eyes. 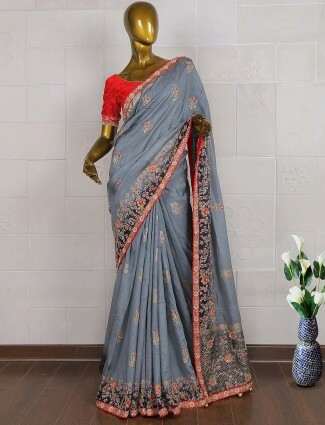 At G3fashion.com we bring you latest designer sarees which are available in different price segments from a very low range to heavy and premium range designer sarees. 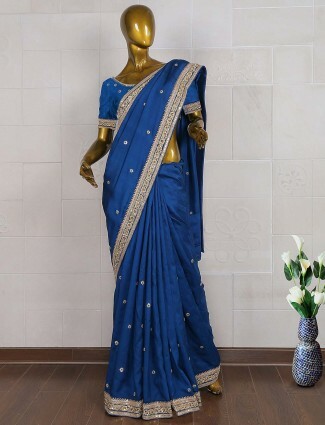 We offer designer sarees for weddings and parties, a plain saree with a stunning embroidered border is also a designer saree and a net saree with all over embroidery is also a designer saree. 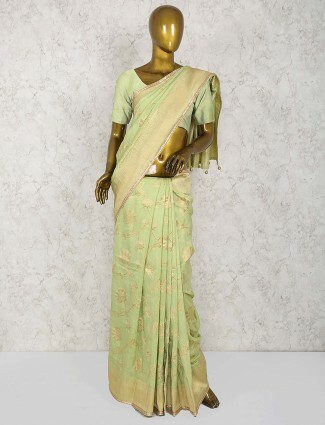 The styles of a designer saree is one which looks different, has a right fashion element, harmonises well and works perfect for the occasion considering the whole look. 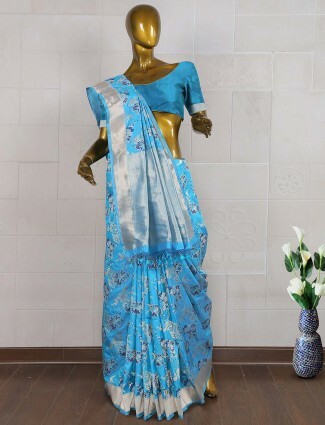 Designer sarees online shopping will give you options in fabrics like net designer sarees, silk designer sarees, georgette designer sarees, chiffon sarees, cotton or linen designer sarees and much more. 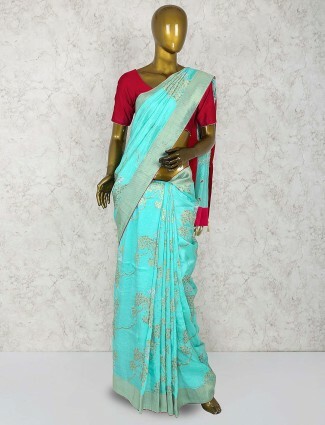 You can always find your designer saree at g3fashion.com which starts from a very low price range and can be worn at different occasions from proms, college parties, office parties, events or go for mid range to heavy designer sarees for weddings and other occasions. 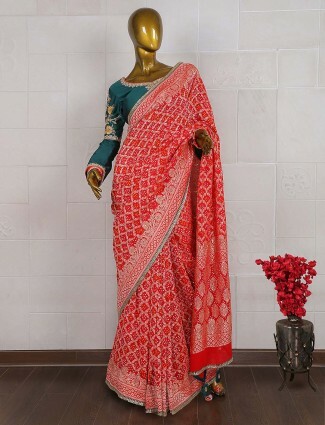 Our collection of designer sarees with price is what will bring a smile on every lady when she wants to look different from the crowd. 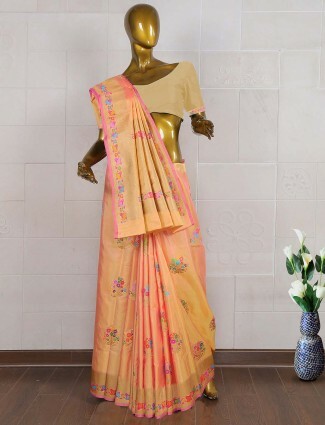 Our styles includes new designer sarees in pom pom styles, tassel styles, detail embellished borders, pre-stitched designer sarees, saree gowns, silk sarees in pastels hues, figure motif embroidered sarees, designer sarees by Manish Malhotra concepts and many more. 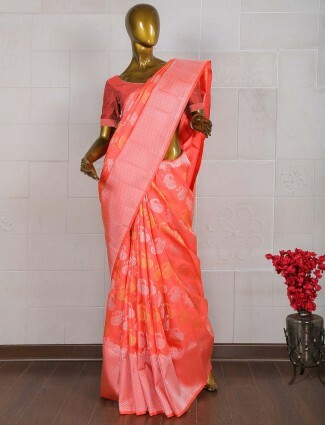 The top demanded designer sarees for wedding are the patola sarees in G3+ exclusive designs which are specially designed by our team with a designer work blouse, with latest saree blouse design and work in thread, zari, zardosi which is crafted as per motifs and weave designs of the saree. 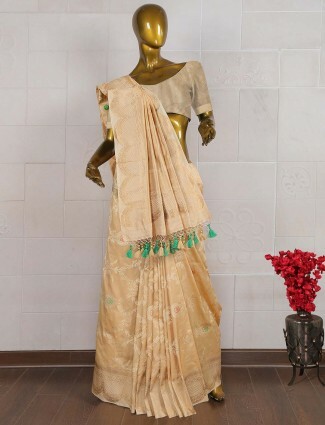 These are sold in a pair set of saree & saree blouse and are the best option for weddings or parties. 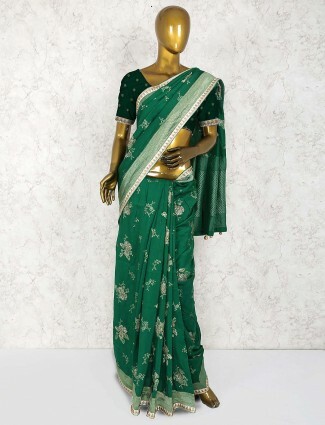 Latest designer party wear sarees are the pre-stitched saree gowns. 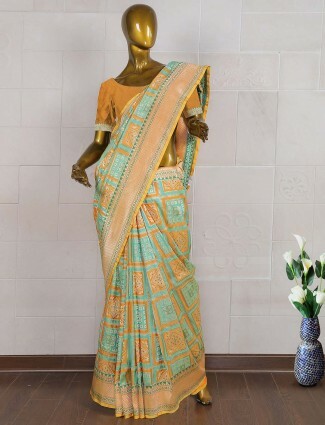 We have a huge range of these sarees from a budget range and in comfortable fabrics of shimmer lycra, net lycra and crepes and satins. 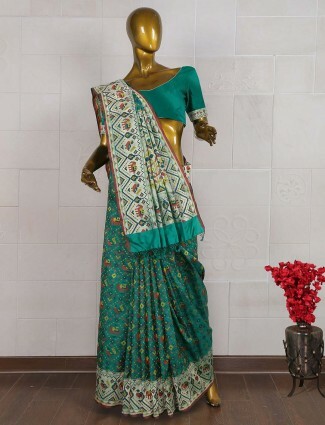 All styled with stylish blouses in new patterns, cape blouses, mid length blouse with work details of beads, mirror work, long tassel beads, diamonds, and figure motif work designs. 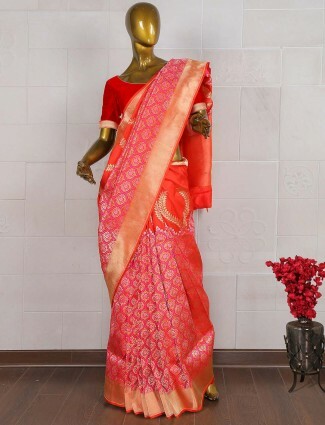 Our net sarees in designer wear are also in new trend styles of metallic lace concepts, with a stylish silk blouse to give it the complete designer look. 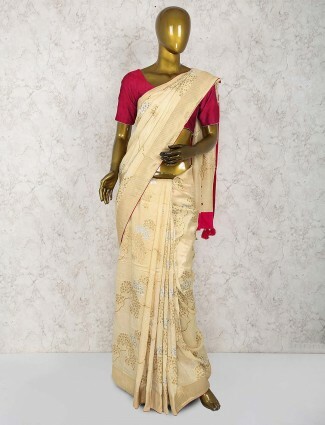 Silk saree with floral motifs or work on pastel hues are highest in demand for wedding wear and party wear too. 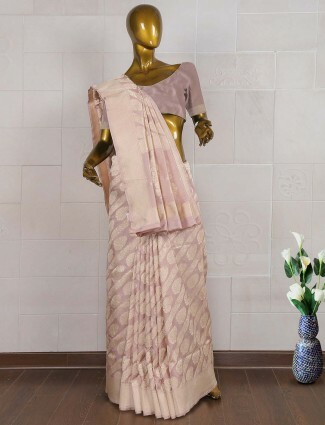 Go for pastel silk designer sarees like celebrity styles, Mira Rajput saree look, Sri Devi saree, Sonam Kapoor pastel saree looks. 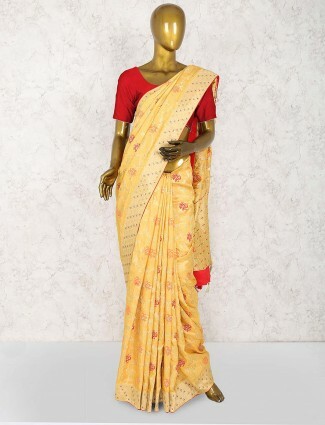 Choose work concepts which radiate or highlight a particular portion of saree from pallu to shoulder drape which are new concepts of designer saree styles. Shopping for plain designer sarees in detail of small motifs scattered all over, or a frill riffle added in pallu or lower saree panel, layered textured fabric on lower panel or pallu half and half concepts are cheaper designer sarees you can shop for if you don’t want to spent a ton on heavy designer sarees. 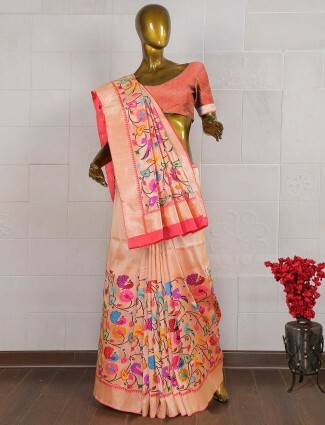 Cotton saree in panels or tassels and pompom to hand painting are also designer saree trends to pick in low prices. 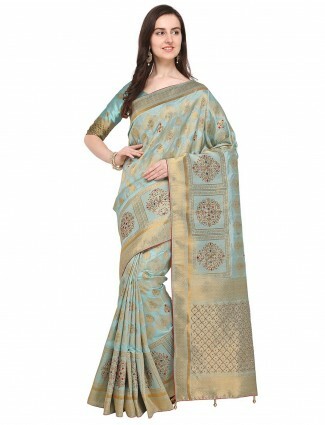 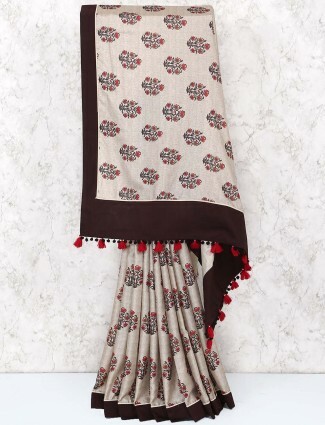 Digital print sarees of traditional and cultural design art are also available at G3fashion.com. 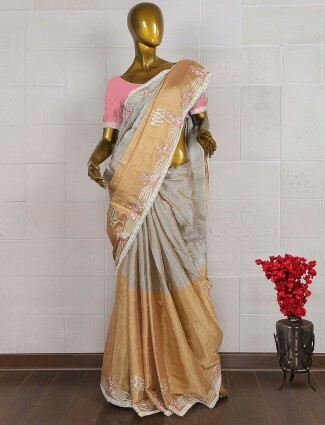 Linen saree and jute sarees with stylish blouse in patterns and prints of kalamkari is what trends and can be bought in very low cost by online shopping sarees with G3+fashion.